I only did it once ! Uh, sweet mother of Vladimir, I didn't know that! did you? 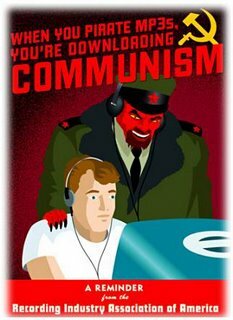 Well, if you do not want to go back in the USSR, you better stop pirating, for the future of the enlightened world is just a mouse click away. However, if you're into red flags and pointy birds, the only thing that can actually stop you from being extremely evil is EVIL itself. Fighting fire with fire has always been a great object of inspiration, and if you tend to keep those pirate habits - you might be surprised to find some interesting guests at your door step.